This strange fruit is also known as a custard apple because of the unusual texture of the flesh. 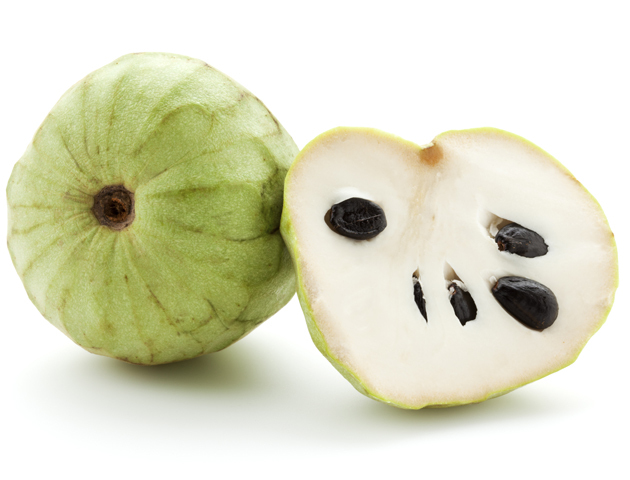 The cherimoya comes from South America. The amazing thing about this fruit is the contrast between the colourful exterior and seedy interior. 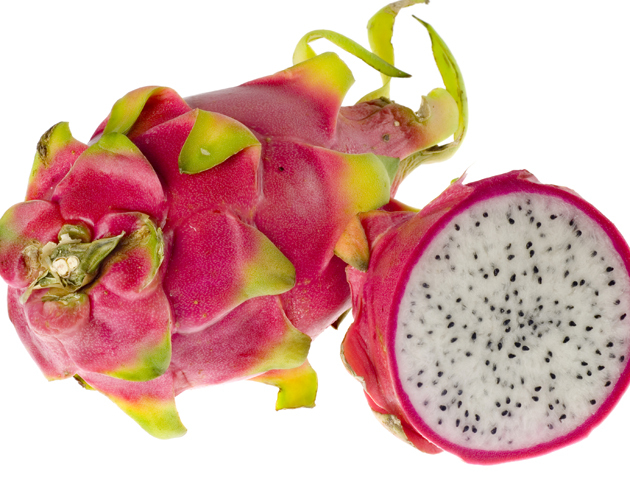 Don’t be fooled – despite the dragon fruit’s weird appearance, they basically taste like kiwis. 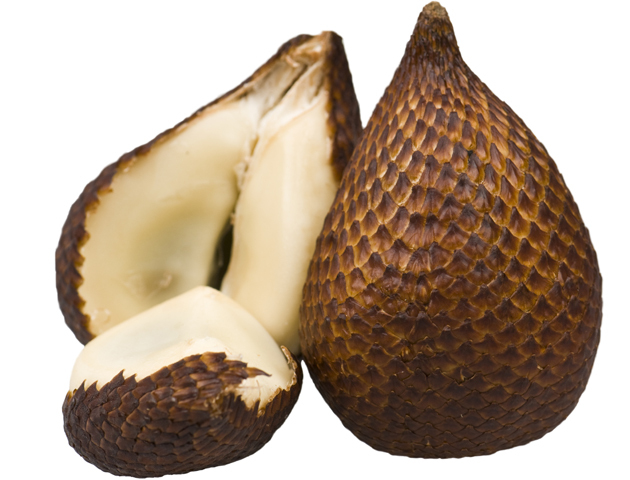 Salak is also known as snake fruit because its outer layer looks like, yup, snakeskin! It grows in clusters on a species of palm tree. 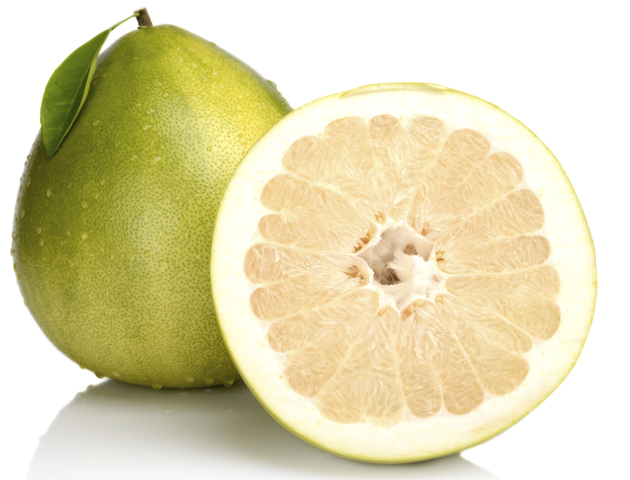 A pomelo is like a giant grapefruit with much sweeter flesh. 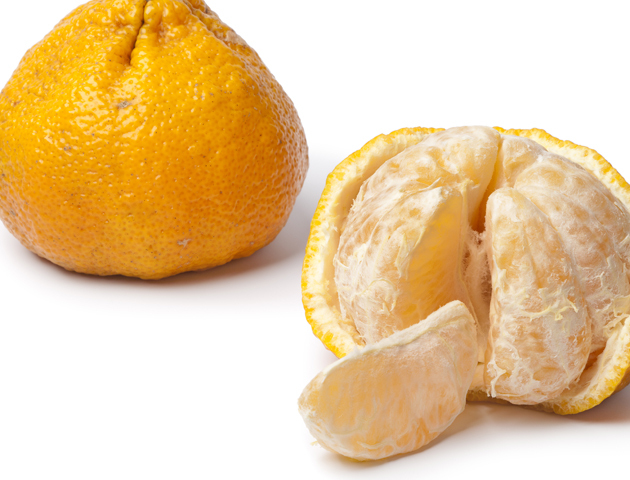 Watch out, though, the super-thick skin is much harder to get into than with a grapefruit. This brilliant vegetable can’t decide whether it’s brocolli or cauliflower or something in between. 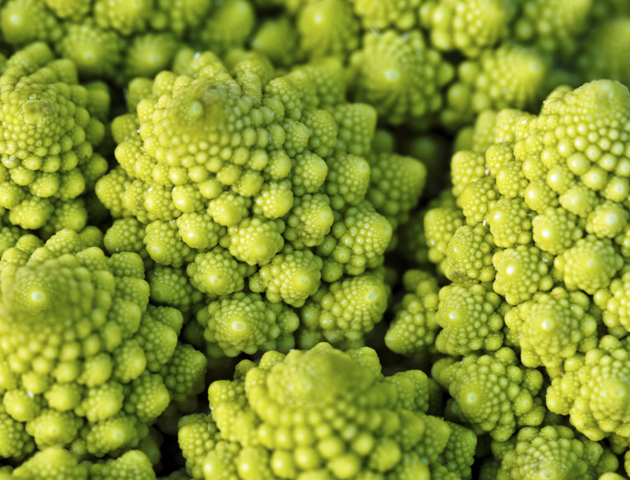 Whatever it is, the romanesco’s unusual looks and nutty cauliflower-like taste make it a real winner! 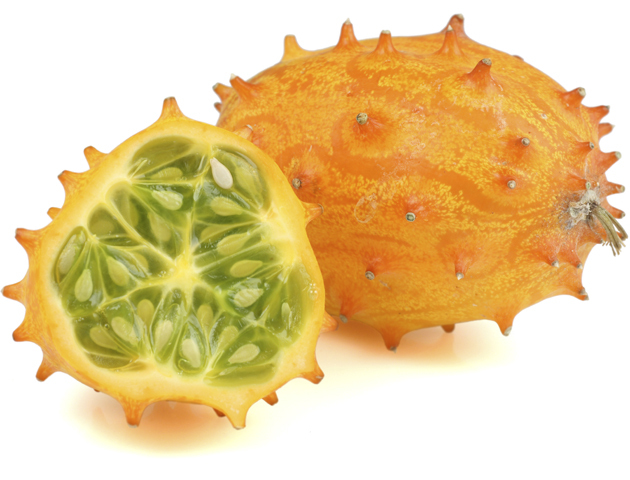 Also known as horned melon, this bizarre-looking fruit tastes like a mixture of lemon, cucumber and banana. This unkindly named fruit is actually really tasty. 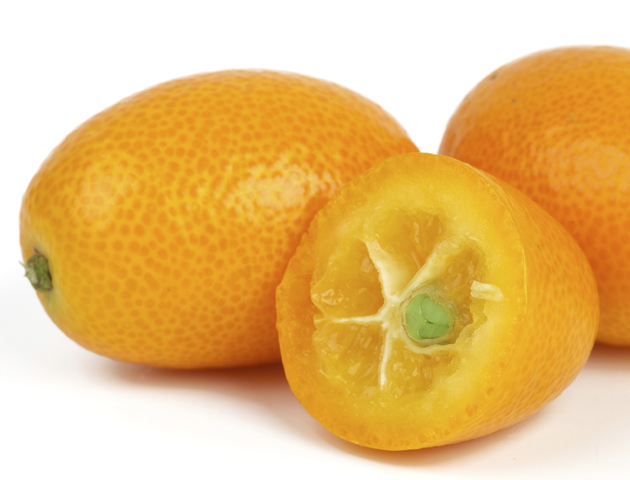 Traditionally found in Jamaica, ugli fruit is a hybrid of orange, grapefruit and tangerine. Yes, this crazy vegetable is for real! They’re the young, edible shoots of a fern. 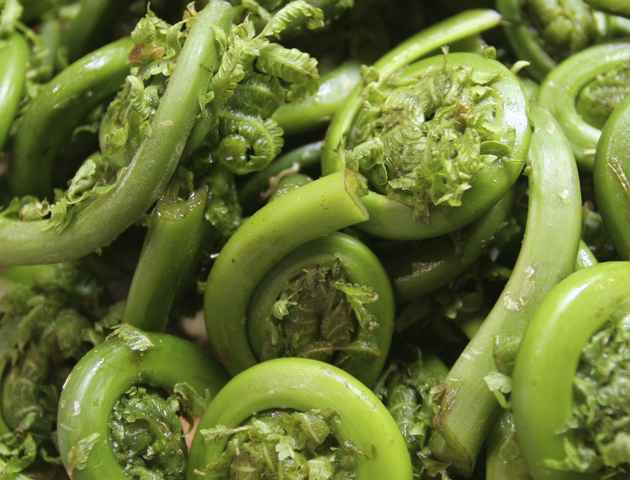 Fiddleheads taste like a cross between asparagus and spinach. iStockphotoAlso known as chocolate-pudding fruit because it really does taste like chocolate pudding! Brilliant! 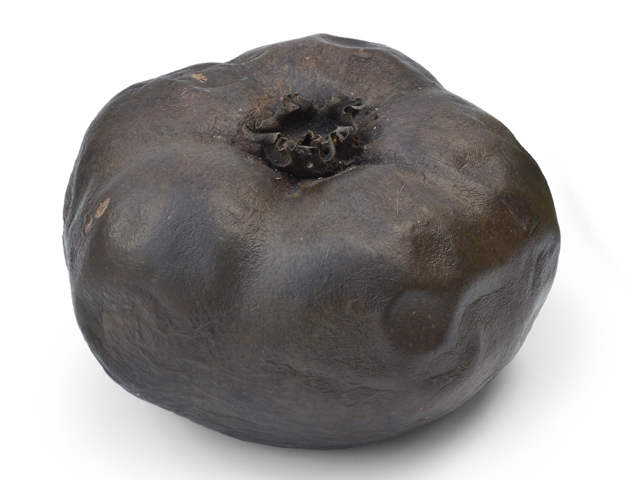 Also known as chocolate-pudding fruit because it really does taste like chocolate pudding! Brilliant – chocolate as one of your five a day! 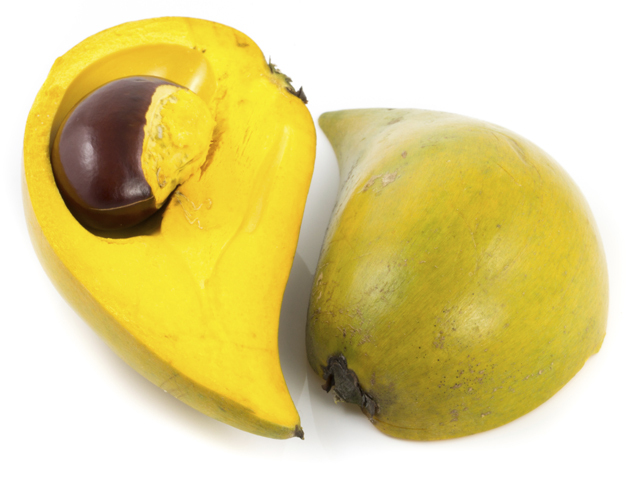 This bright-yellow South American fruit is also known as an egg fruit. This is because the texture of the pulp is similar to that of cooked egg. 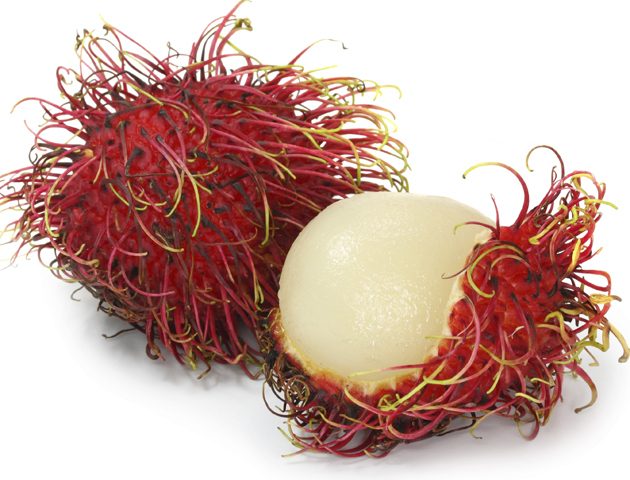 Odd-looking, little, furry balls that taste a bit like lychees. Be sure to peel these beauties before you eat them – the skin isn’t edible. No, these are not just unripe tommies. 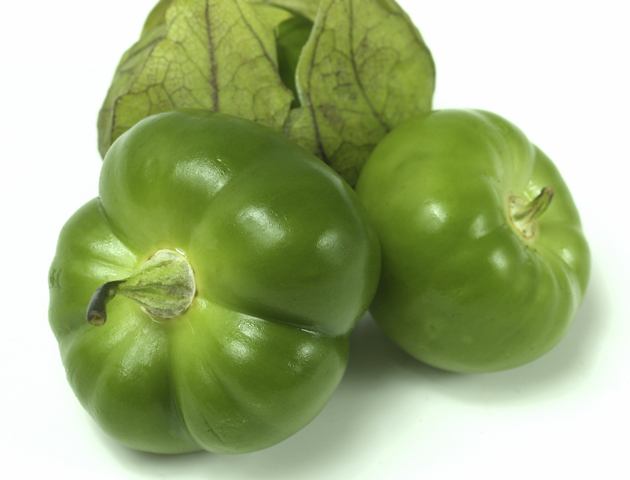 These members of the same family stay green when ripe and are a staple ingredient in many Mexican dishes. This has become more commonplace in the UK now and can be found at most supermarkets and greengrocers. 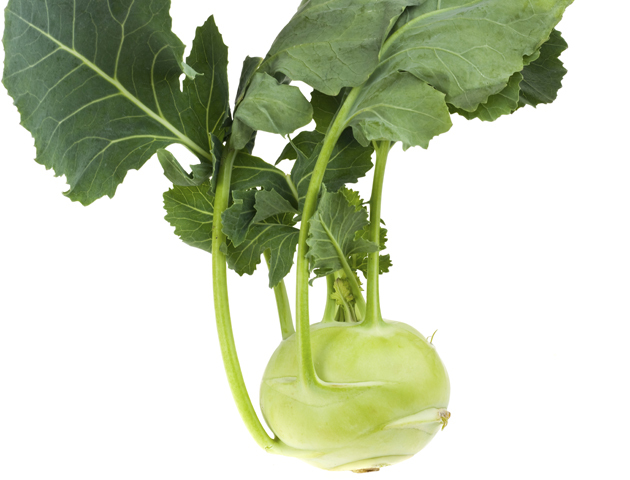 The unusual-looking member of the cabbage family can be eaten raw or cooked. 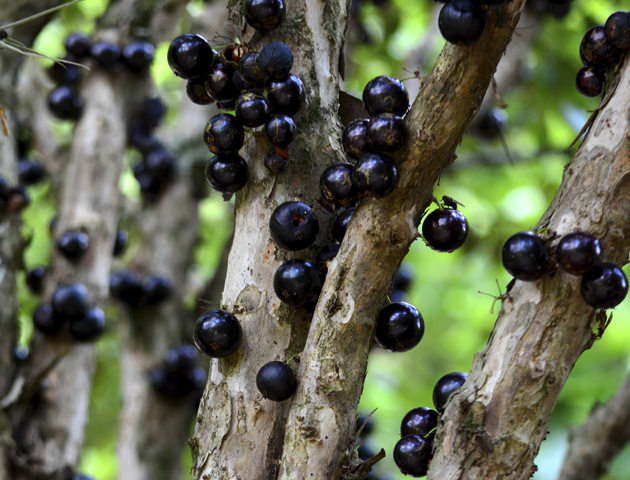 The strange thing about this Brazilian grape is that it grows directly on the tree trunk and branches… Weird! Another odd type of citrus fruit. They’re smaller and sharper than most of the other fruits in the family, yet their skin is thinner and sweeter. 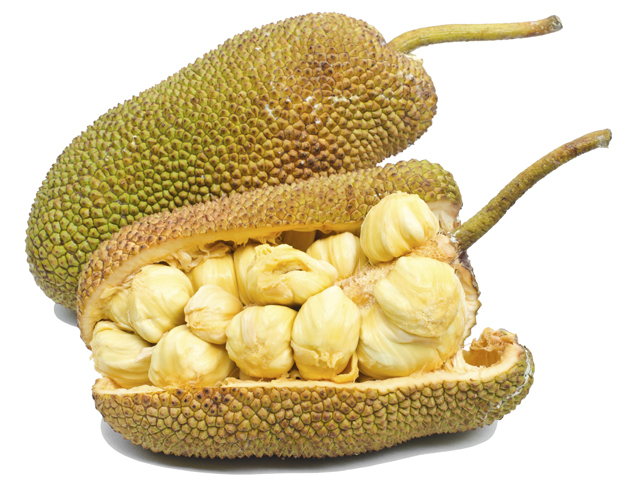 From the largest tree in the world that grows fruit, a jackfruit can weigh as much as 35kg! They taste similar to mango and pineapple, which sounds great, but you definitely wouldn’t want one of them falling on your head! And finally…a fruit that looks like something from outer space! 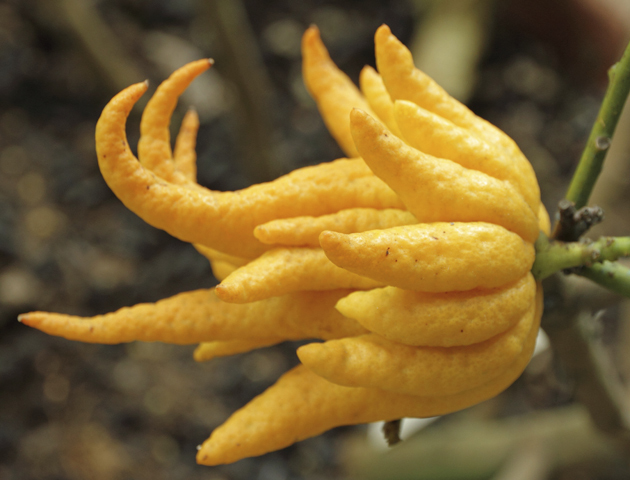 Also known as a fingered citron, the Buddha’s hand is one of the oldest fruits in the world and tastes a bit like a lemon.